NEW DELHI: At least 119 cases of dengue have been reported in the national capital this season, with 91 of these being recorded last month alone, according to a municipal report released. A total of 62 cases were reported till July 23 with May recording six cases and June witnessing 15, it said. As per the report, the number of vector-borne disease cases recorded last month till July 30 stands at 91. Twenty-nine fresh cases have been reported since the last count and the total number of cases so far in the city is at least 119, a senior civic official said. Last year, the city saw a staggering 15,867 dengue cases, the worst in 20 years with the disease claiming 60 lives, as per municipal reports. This year, dengue cases have been reported rather early. Last year, only six cases were reported in June, while July registered 36. Sadar Paharganj and Karol Bagh Zones under North Delhi Municipal Corporation reported a case each, while Najafgarh Zone of South Delhi Municipal Corporation has recorded six cases. West, Central and South Zones of South Corporation recorded two, four and three cases respectively, said a senior official of SDMC, which compiles dengue report on behalf of all the civic bodies in the city. SDMC has reported 15 cases overall while East Delhi Municipal Corporation has recorded three. Of the total number of cases, 29 were reported from areas outside the jurisdiction of the three municipal corporations. While 16 cases were reported from Uttar Pradesh, six of those diagnosed with the disease came from Haryana, and 48 of them came from other states. The number of houses where breeding of mosquitoes were found are – 16,348 (NDMC), 34,672 (SDMC) and 5,739 (EDMC). The number of prosecution launched in these areas were 721, 1829 and 189 respectively, the report said. As part of its preventive measure against the disease, NDMC had last month launched a drive and sought to popularise the use of a specially made cooler and the plant Agave Americana. Also, the Union Health Ministry in June had decided that dengue patients hailing from towns in the National Capital Region seeking treatment in Delhi hospitals will be registered separately this year so that they are not clubbed with local patients. 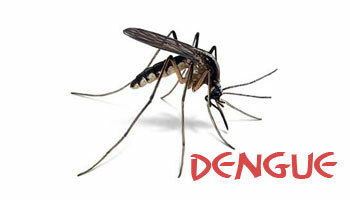 In 1996, a severe outbreak of dengue had occurred in Delhi wherein about 10,252 cases and 423 deaths were reported. In 2010, besides over 6,200 cases, only eight deaths were officially reported. The Commonwealth Games were held that year and massive construction works in the city was a major reason behind the spread of the disease.